Wall and ceiling lamp with reflected and diffused light. 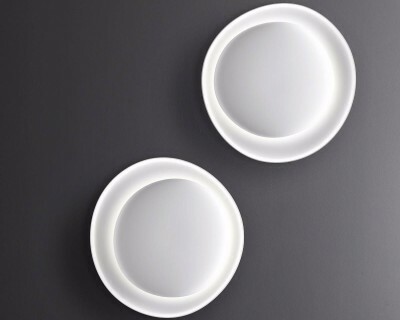 Consisting of two matt white injection moulded polycarbonate egg-shaped plates fitted together asymmetrically. 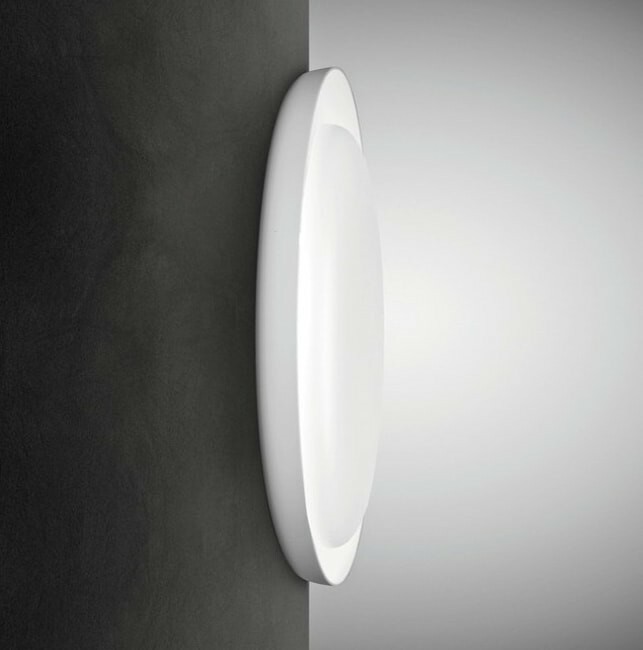 The largest plate works as the wall mounting plate, and the central one conceals the lighting technology part. 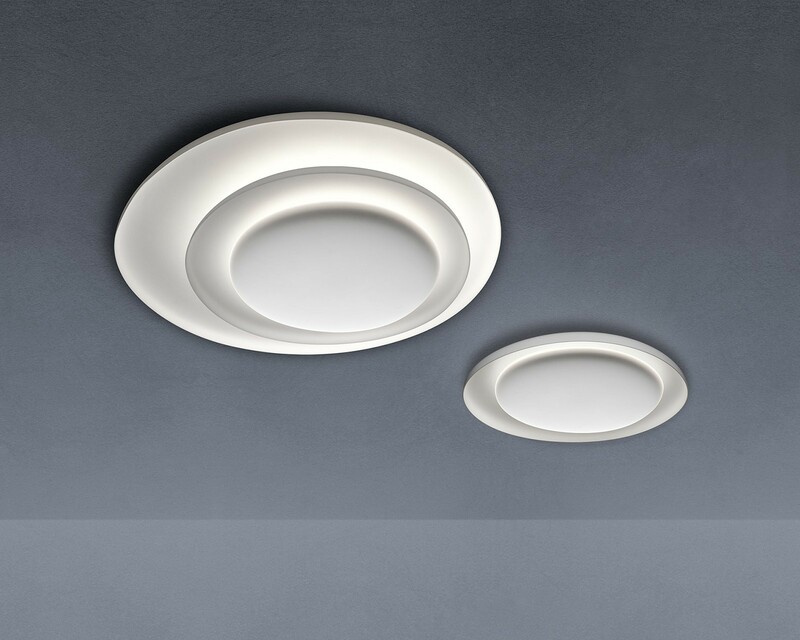 Bahia, a name that recalls white beaches, sunny skies and the elegance of Bossa Nova, is a captivating wall or ceiling light with an extraordinary design that showcases innovative interplay of light and shade. The light has a seductive form that recalls the aerial vision of an archipelago, with radiating light that subtly emphasizes its topographic nature. In the mini version the largest disc has been removed. The LED version is the natural development of Bahia. 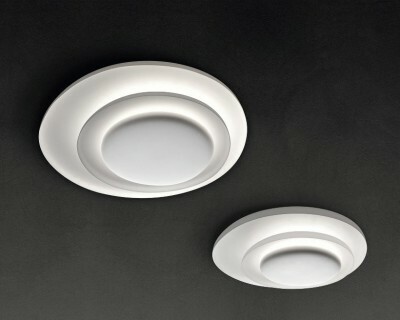 Foscarini has developed and engineered the LEDs in this model and managed to improve the magic of the light. In the mini version the largest disc has been removed. 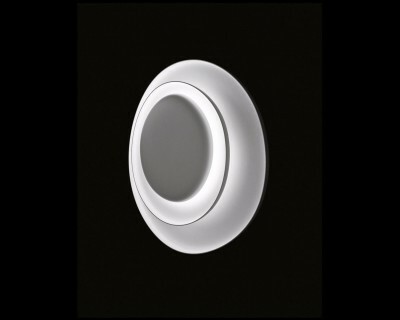 Bahia mini has many possibilities for use in both the domestic and contract sectors, especially in the low energy consumption and minimal maintenance LED version. Paolo Lucidi and Luca Pevere got together at well-known design offices in Milan. In 2002 they signed their first commissions together and, in 2006, establish Studio Lucidi & Pevere in Milan. These days, Studio Lucidi & Pevere is based in Udine and still undertakes industrial design work for internationally renowned companies, belonging to a large number of different sectors. Foscarini focuses on developing new products but chooses only to put into production those that express new ideas. While inspiration is always valued, Foscarini’s development phase sometimes takes years of progressive research to analyze materials, shapes, processes and operating modes that sometimes lead to results drastically different from the initial concept. This is why Foscarini lamps are so innovative yet built to weather the whim of trends and become true classics.